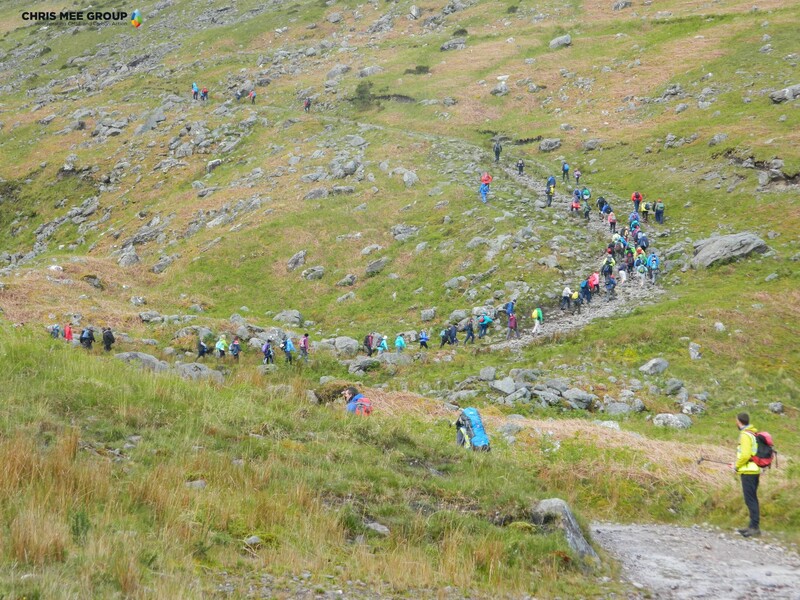 On Saturday, June 6th, 100 people from all corners of the country gathered in Cronins Yard at the foot of the MacGillycuddy Reeks. 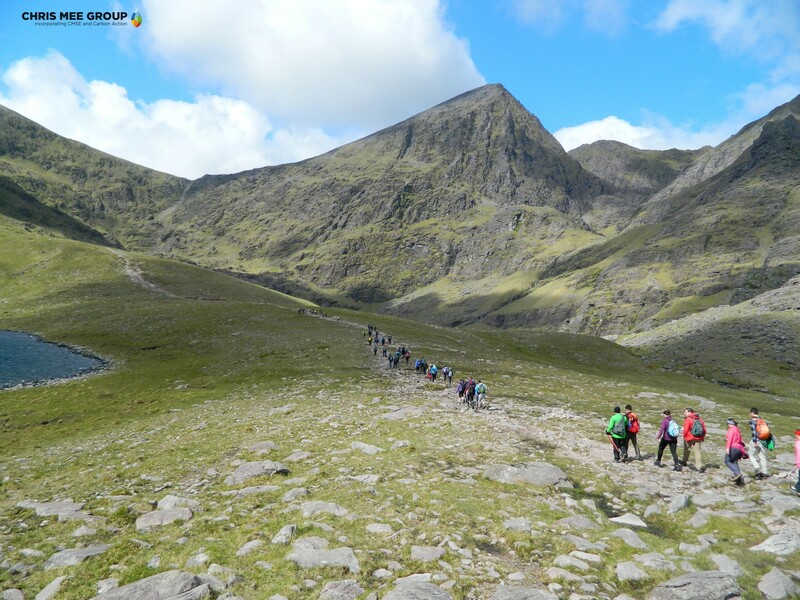 Organised by the Chris Mee Group, these people came to climb Ireland’s highest mountain, Carrauntoohil, in aid of the Irish Guide Dogs For The Blind. 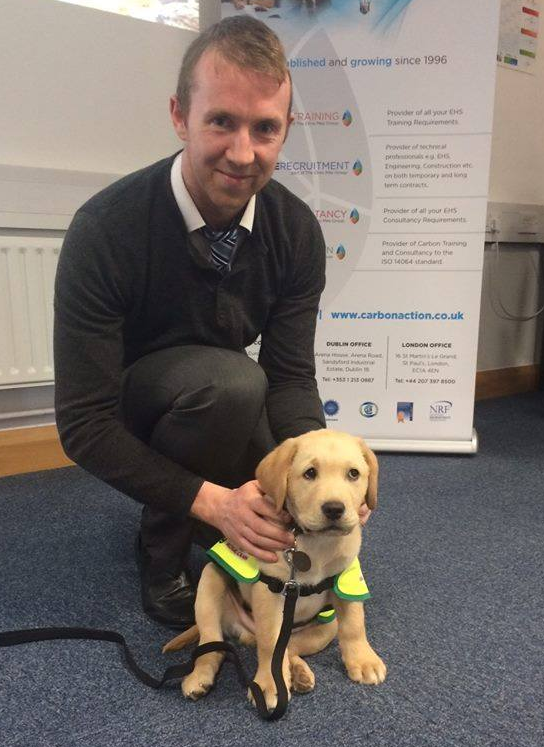 Chris Mee Group are sponsors of the Irish Guide Dogs “Finding Their Feet” campaign, whereby we have committed to raising €5,000 this year in order to cover the training costs of a Guide Dog puppy named Riley. 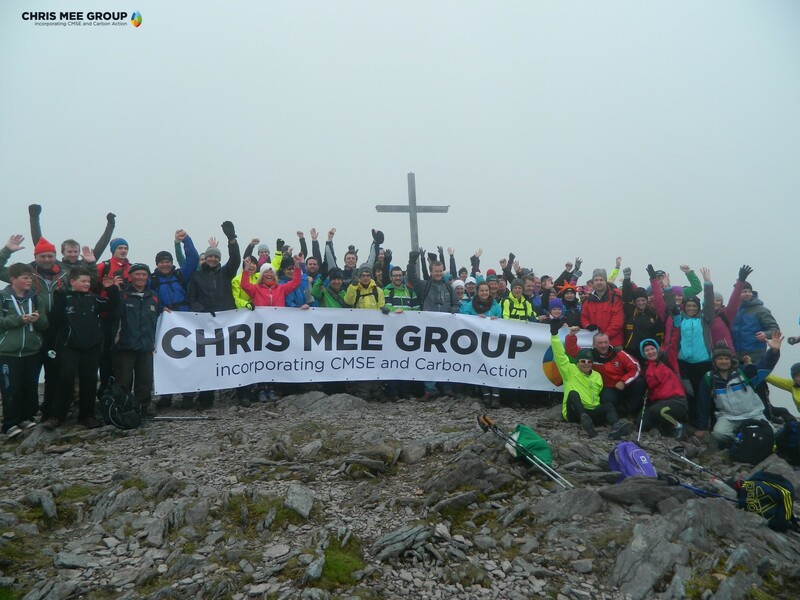 As part of the sponsorship, we organised “Climb Carrauntoohil For Riley” and the response from employees and clients of the Chris Mee Group was more than we ever imagined. We had 100 people sign up to take part in the event, all in aid of this very worthy cause. The morning of the climb was bright and the sun was shining, although a few dark clouds in the distance promised a few showers later on. Setting off from Cronin’s Yard, we walked into the Hags Glen and the heart of the MacGillycuddy’s Reeks. Everyone was in good spirits as we looked forward to the challenge ahead. We crossed the Gaddach River and into some spectacular mountain scenery, sharp ridges, high cliffs and fast running rivers. 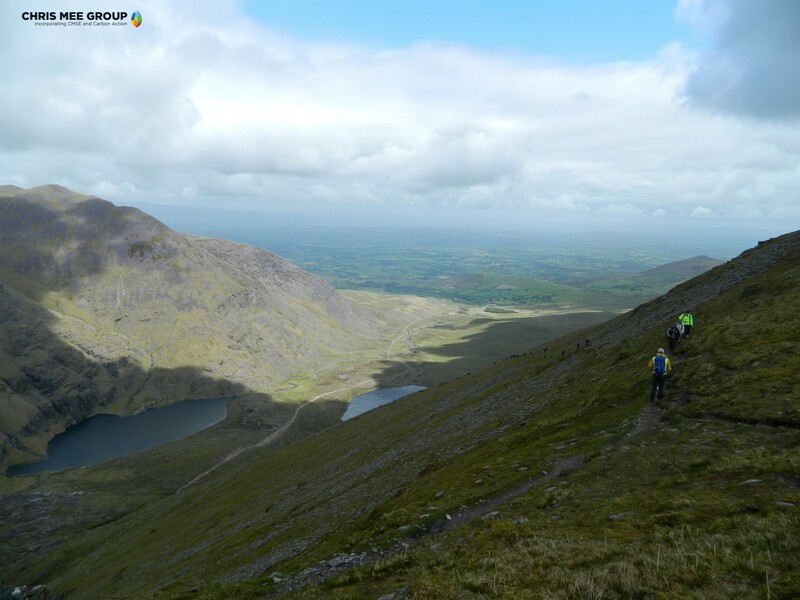 After a quick pit-stop and a bite to eat, we continued again to the base of Carrauntoohil. Our ascent was by the Zig-Zag route, weaving our way up steep connecting paths onto a grassy plateau at a height of approx 700mtrs. We stopped again to take in the views which were spectacular. Looking down at the route we had travelled, it was an accomplishment to even come this far. Our final push was up a loose rocky path to the summit of Carrauntoohil. This was probably the most tiring part of the day, but fully worth it once we reached the summit. The views were incredible, once the mist disappeared. The mood in the group was one of joy and relief all mixed into one. One of the group brought a smile to everyones faces by taking his final steps to the summit to the sound of the ‘Rocky’ theme song. Heading back the way we came via the “Zig-Zag” path brought us again to flat ground where we took a few moments to view and appreciate the full scale of the route we had just completed. With weary legs and a great sense of accomplishment we made our way back to Cronin’s Yard along the path out of The Hags Glen. Overall, the day was an incredible success. We have to thank our guides from Kerry Climbing who were fantastic and led the way. Also a huge thanks to all of our climbers for making the event so special and for the funds they raised for Riley. We’re already looking forward to doing it again next year!